Our Mother, Lila “Jean” Anderson Facer, 88, of Gooding, Idaho, passed away on March 11, 2019, from natural causes, surrounded by her family.She was born at home on August 2, 1930, to Ernest Nephi and Ivy Mathias Anderson, in Bear River, Utah. She attended school at Bear River Elementary and Box Elder High. Jean married the love of her life, Max Prior Facer, on November 29, 1946. They have five children. 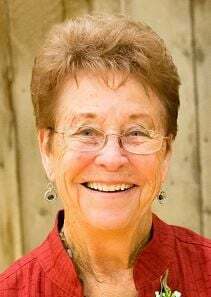 In 1959, the family moved to Rupert, Idaho, to homestead on the north side, where she resided until 2013, when she moved to Gooding, Idaho, to be closer to her family. She is survived by the children: Beverly (Lew) Jones, Shirlee (Galen) Adams, Julie (Max) Graham, Douglas Facer, and Cindy (Rusty) Gillette. 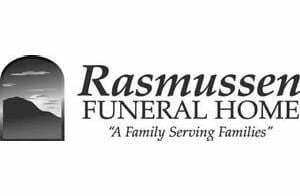 She has 23 grandchildren, 63 great-grandchildren, and three great-great-grandchildren.A visitation for friends and family will be held from 5:00 until 7:00 p.m. Sunday, March 17, at Rasmussen-Wilson Funeral Home, 1350 E. 16th St., in Burley.The funeral will be held at 10:30 a.m. Monday, March 18, at The Church of Jesus Christ of Latter-day Saints – Gooding chapel, located at 1228 Main St., in Gooding, where a visitation for friends and family will be held at 9:00 a.m. prior to the service. A graveside service will be held at 5:00 p.m. that afternoon at the Willard Cemetery, located at 470 N. Main, Willard, Utah.